What is Natural Beaded Row Hair Extensions? How Did I Create Natural Beaded Rows Hair Extensions? and many more you name it, I’ve tried it! I’ve discovered which hair extension methods are more damaging on your hair and which ones look best over time. In the end I realized this very One Very important factor… The more area to the scalp you attach extensions the more damage you experience, regardless of which method you choose. So in the end my goal was to create a method with more fullness while at the same time less hair damage. How is this possible? Natural Beaded Rows is a customized experience created for each of my clients based upon the head of hair my client has and the look they are seeking! I place on average only 1.5 – 2 rows of hair in my clients hair during a normal seating. I sew multiple pieces of hair together and attach the row to the head using a bead and string. There is no glue or tape involved, so the removal process is quick and simple and only takes about 5 minutes. I try and be creative and think outside the box and this has lead me to experiment with the Extension ‘Placement’, ‘Color’ and ‘Cutting’. After 12 years of work I finally had the BEST METHOD available with the least amount of damage to hair, and the least amount of time in the salon. Natural Beaded Rows™ method was born out of my desire to cure my own hair dissatisfaction and has evolved into an international conversation with clients from all over North America. I 100% believe in my own product and wear NBR hair Extensions in my hair every single day, allowing me to constantly be testing and improving things. 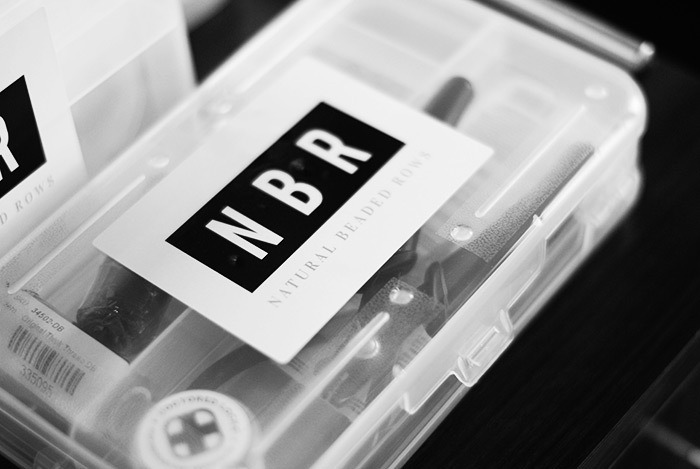 NBR Experience & Education NBR is a perfect solution for both the stylist and the client. In less than 3 hours (if you have worn extensions before you know how great this sounds) my clients are in and out of the salon leaving transformed and feeling more beautiful then when they arrived. My custom, Natural Beaded Rows™ hair extension method is 100% unique, crafted from years of experience and diligent searching to create the absolute best hair extension method on the market. If you feel you are ready to experience NBR in your own Hair — CLICK HERE TO SCHEDULE your consultation. Teaching, Training and Empowering other stylists to take this amazing Method to there clients around the world is my deepest passion. I teach customized, comprehensive small group classes on my Natural Beaded Rows™ hair extension method. If you feel you might be a fit for one of the LIVE upcoming classes here in Laguna Beach, CA — CLICK HERE FOR DETAILS! If you would prefer a “Go at your own pace” On-line training experience with NBR — CLICK HERE FOR DETAILS!